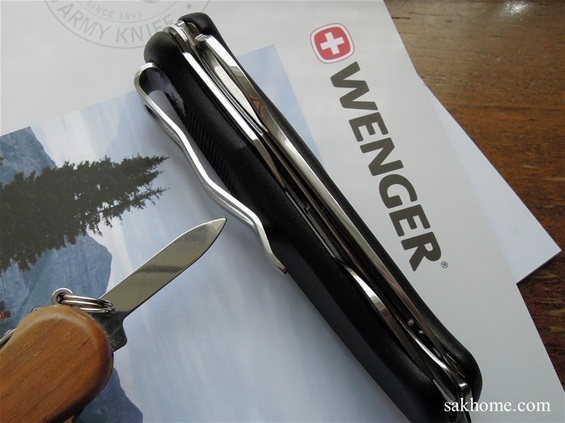 Wenger did not try to hide the clip on the Ranger knives. 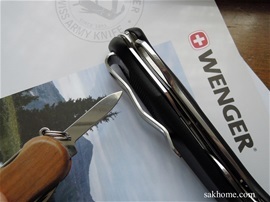 The clip itself is a part of the ergonomics on the handle but different than usual. 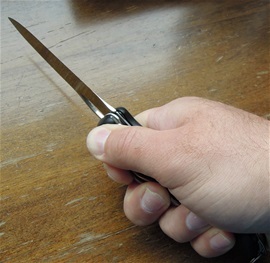 This clip on the Ranger knives is more a part of the ergonomics and grip than on other knives. I will show what I mean with pictures. The shape of the clip is designed to be ergonomic in the different grips one would need for use. The clip is designed with the curve and shape for the hand. 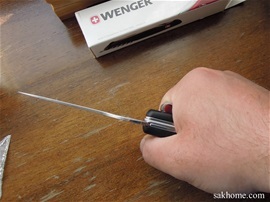 On the next picture also the use of the thumb and clip for ergonomics. 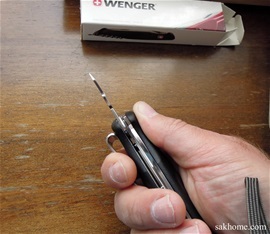 The clip is designed for the different grips when using the big flat screwdriver as well. 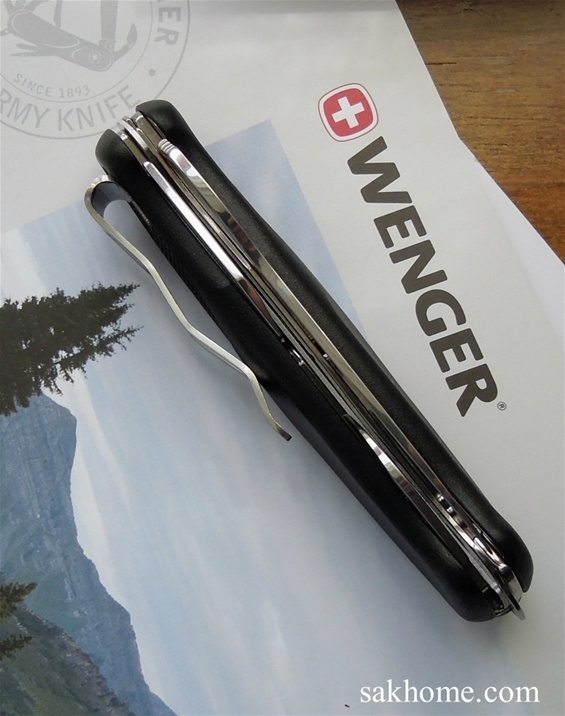 The clip is designed for the grip used for the can opener! Please take a look at the RangerClip 61 underpage on the New Rangers pages as well. PS all the information are from my impressions and can not be found elsewhere. 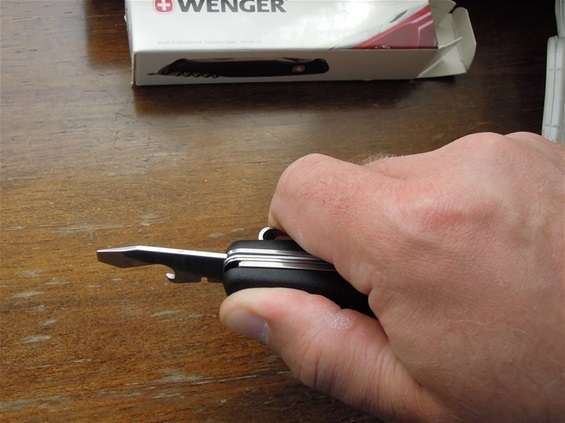 The Clip on the Ranger can be used in reverse grip for the thumb and finger for controle. 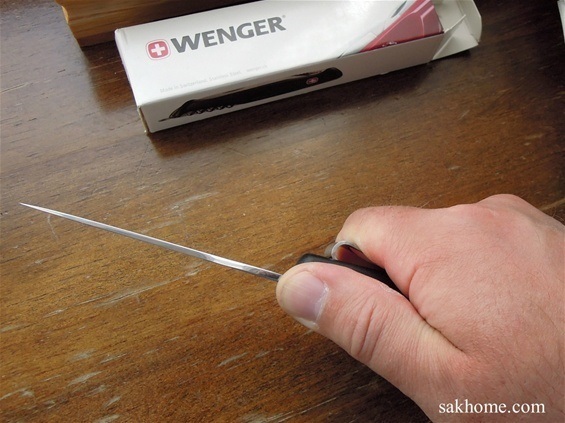 It is typical on a SAK that everything got versatile use with or without intent in this case. 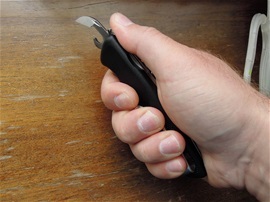 It is also possible to use the thumb over the liner lock for controled reverse grip.